As the summer season winds down and fall arrives, we take a look back at a busy summer filled with church events that made an impact. The past few months were abuzz with energy for the future of the church - an energy that is sure to continue through the rest of the year. 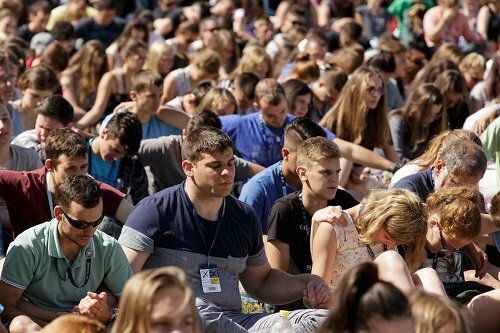 Reformed youth from the Carpathian Basin and beyond gathered in Debrecen, Hungary in July for the biannual Starpoint Reformed Youth Festival, focused on Reformation. The youth attended worship services, participated in daily workshops, and let loose at nightly concerts during the five day festival, resulting in life-long bonds of friendship and the further development of their spiritual lives. A high-level conference recently took place in Debrecen, Hungary as part of the city's Reformation celebrations. Prominent church leaders were in attendance, as well as many important academics who recieved honorary doctorates from the Debrecen Reformed Theological University in the past. They discussed topics such as the Old and New Testament, systematic and practical theology, missiology, ecumenical relations, church history, and more. A local congregation again partnered with the RCH's Refugee Integration non-profit to put on a superb English camp at the end of July. The camp brought together a diverse group of children and adults and was a life-changing experience for all of them. Every seven years the World Communion of World Churches hosts its General Council, a gathering of reformed churches from around the world. This year's gathering was held in Leipzig, Germany and many representatives from the RCH were in attendance. The RCH's own Diana Erdélyi was elected to the Executive Committee during the Council. If you no longer wish to receive newsletter updates from the Reformed Church in Hungary, unsubscribehere.